Wow. If this is being floated with a simulated load then this vehicle is showing impressive buoyancy. I really expected it to ride lower in the water. 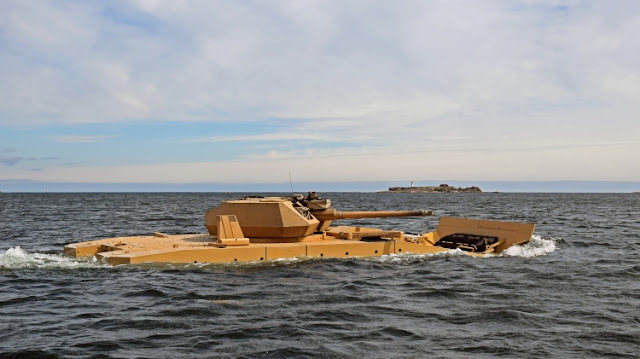 Note too that it's carrying the Denel 30mm RWS (I believe) so that makes the freeboard even more impressive (again assuming that it's carrying a simulated load).